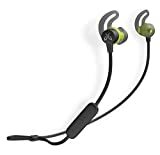 Interested in the Jaybird Tarah Bluetooth Wireless Sport Headphones for Gym Training, Workouts, Fitness and Running Performance: Sweatproof and Waterproof – Black Metallic/Flash? Is the price too high? You can easily price watch this product and we'll notify you when the price reaches your target.